From as early as I can remember, I’ve loved to bake and experiment with new recipes; taste new flavours and combine unusual ingredients. Inspired by my Mum, Ada and Granny, Ivy, they ignited my passion for baking and all things sweet. Through my formative years growing up. I was delighted to learn from their teachings and treasure these memories every day. I experienced first hand their recipes with added notes on stained and faded hand written recipe books which were lovingly handed down to me. In 2008, as a Ballymaloe graduate and after travelling extensively, I began my new career as a pastry chef. I moved to London and worked in the highly prestigious restaurant, Clarkes of Kensington where I quickly understood that after having studied science, it was the technicalities of dessert, pastry and cake making that steered my path in this direction. In 2011, I completed a Masters in Sugarcraft, Royal Icing and Sugar Flowers in Squires Kitchen and Cakes4Fun, London. In 2013, while teaching full time, I decided to set up my own cake design business in Ranelagh, Dublin. Working from a studio at the back of my home, the cakes proved to be a huge hit, and it wasn’t long before the business grew. Since founding Caroline Goulding Wedding Cake Design, I have collaborated with many leading wedding planners working with high level clients, where I am constantly practising and refining my design expertise, passion for creating new and innovative taste combinations and pushing the boundaries of wedding cake design to meet my clients ever evolving requirements. 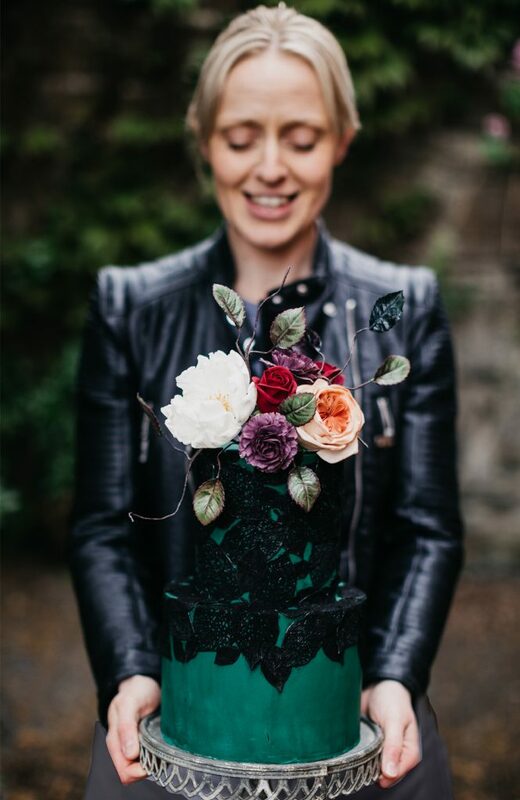 Some of my wedding cake designs have also graced the pages of The Irish Times, IMAGE BRIDES magazine, Irish Brides magazine, Confetti magazine and Irelands Wedding Journal. They have also been featured on various wedding blogs such as One Fab Day. We are also delighted to be a recommended supplier to some of the country’s most prestigious wedding venues, including The Shelbourne, Powerscourt House, Ashford Castle and Clonwilliam House. In 2016, as former couples were returning for their little one’s first birthday cakes, I saw a market for occasion cakes and Caroline Goulding Cake Design was born, whereby ordering your occasion cake just got easier at the click of a button. It was shortly after the launch of CGCD, we decided it was time to spread our wings, and move to a commercial cake studio and I am delighted to announce in February 2019, we will be opening our cake studio in Rathgar, Dublin. It has been an exciting journey so far, I’m looking forward to what is coming next!